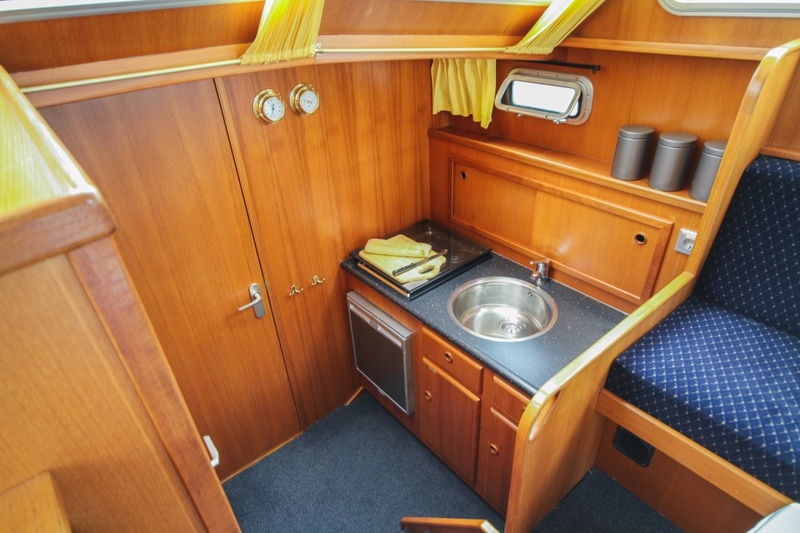 Taking a break with the two of you? 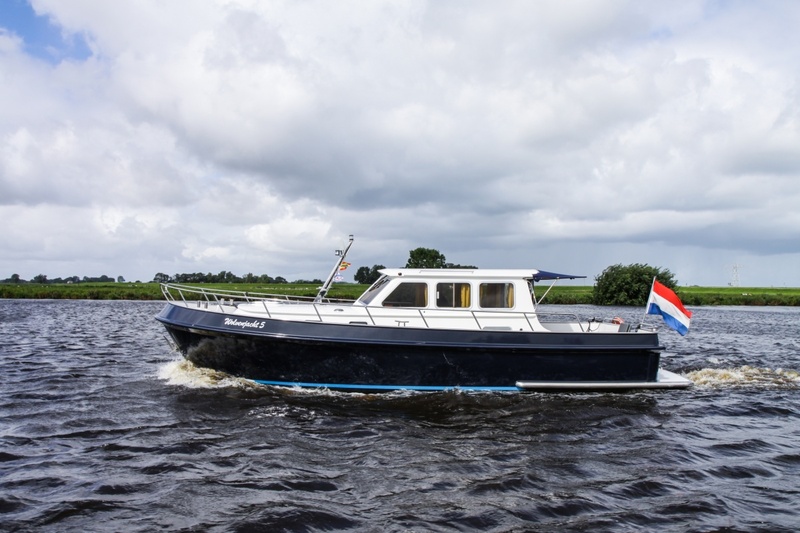 Then the Wolvenjacht 5 is your ideal yacht. 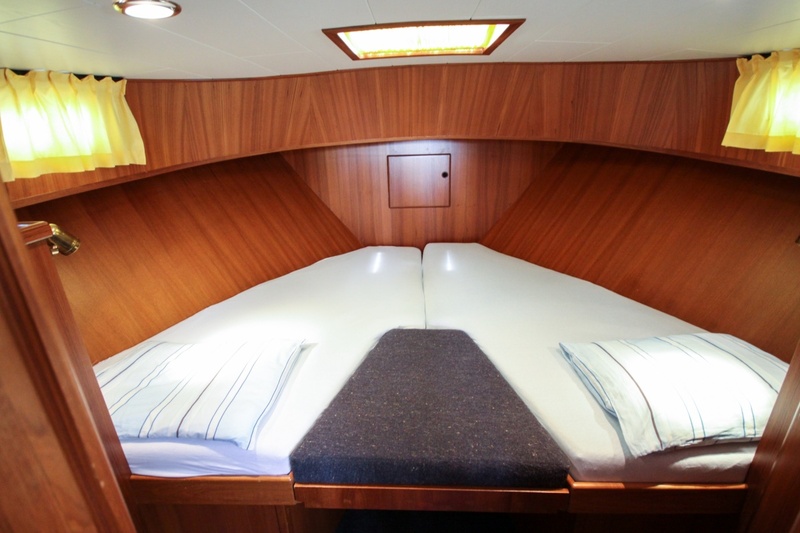 This beautiful ship offers every possible comfort for two people. 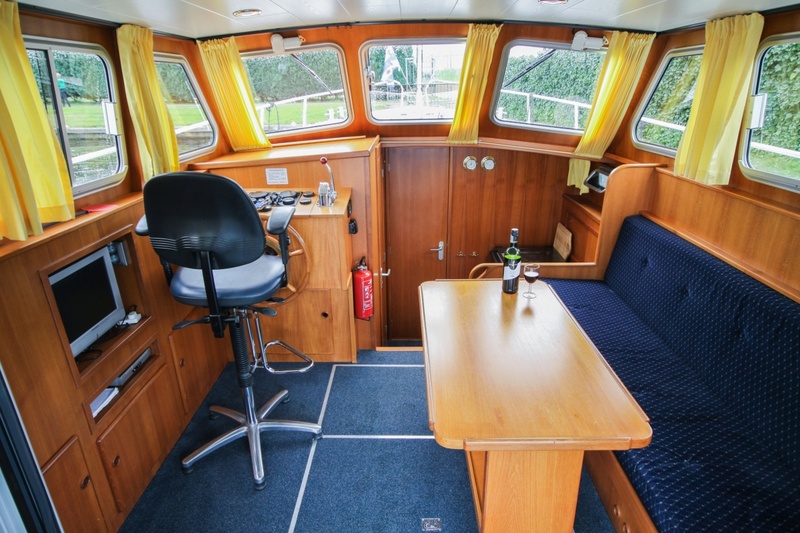 Once on board you can relax and spend some quality time together. 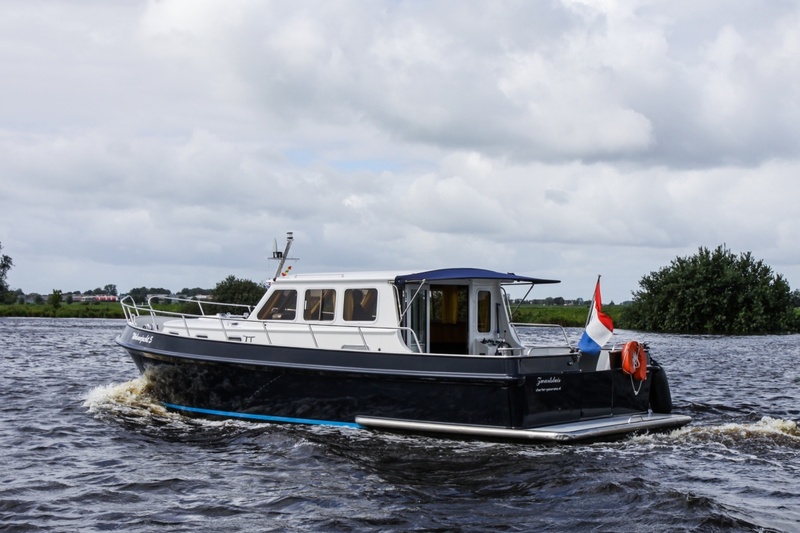 The 10.2 meter long Wolvenjacht 5 is the only ship in our fleet with an open cockpit. 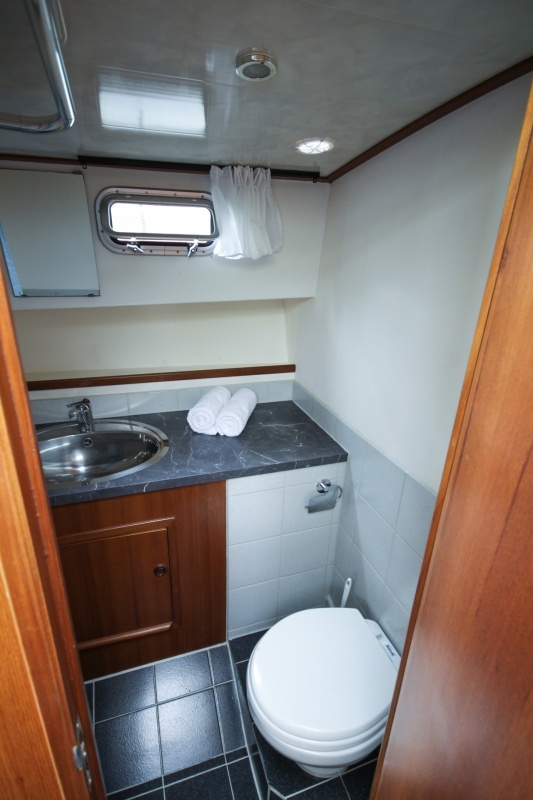 On board is room for two to three people, who can use a spacious shower and toilet. 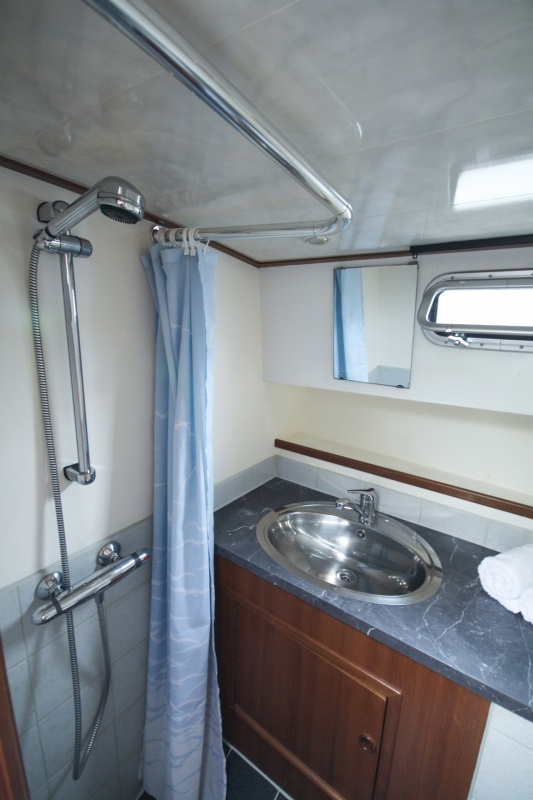 The large bedroom in the front of the ship has a large wardrobe. 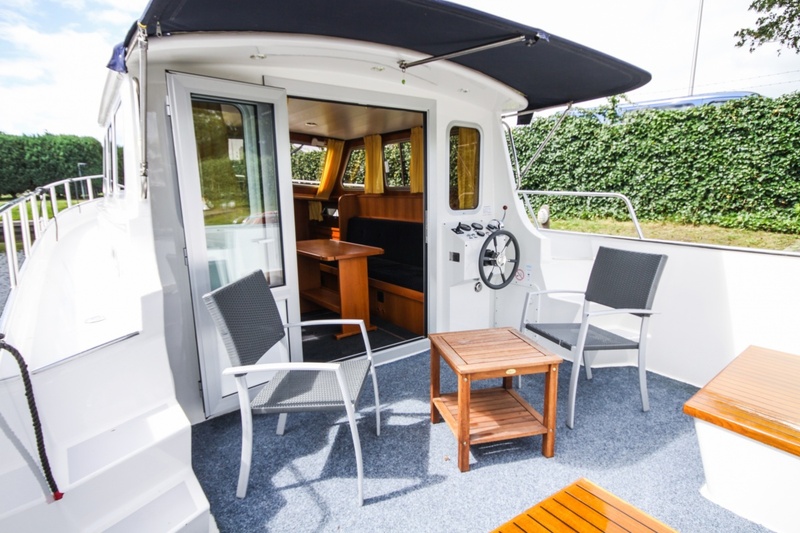 There are hardly any stairs, which makes a stay on the Wolvenjacht 5 very comfortable. 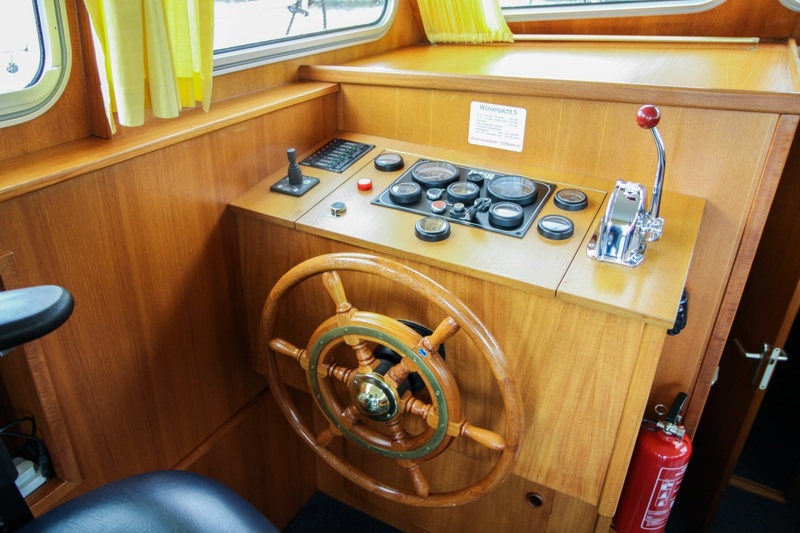 This sturdy and classic looking ship has two steering positions, one inside and one outsided, so you can also navigate from the open cockpit. 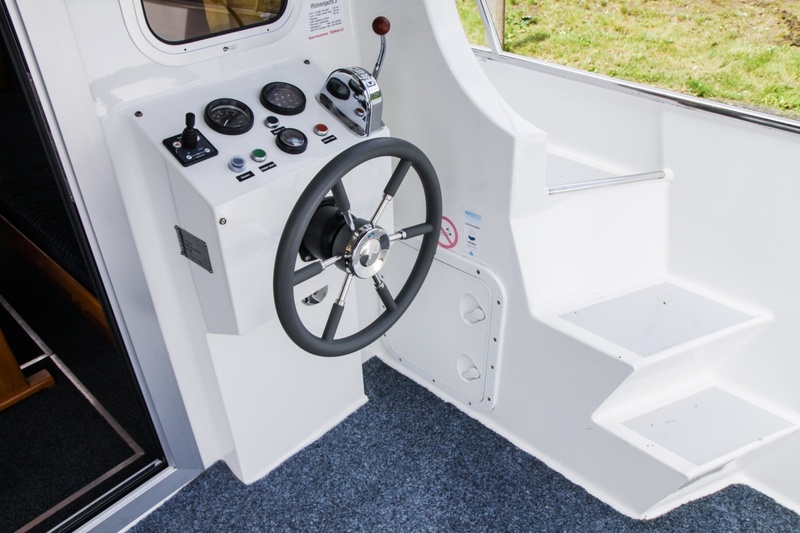 The low clearance height of 2.38 meters will certainly appeal to you, as this allows you to reach places that can not be explored with many other yachts. 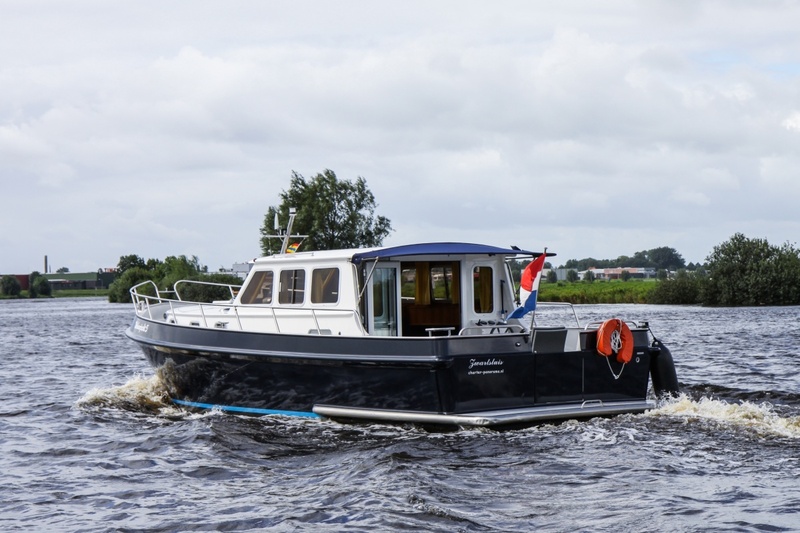 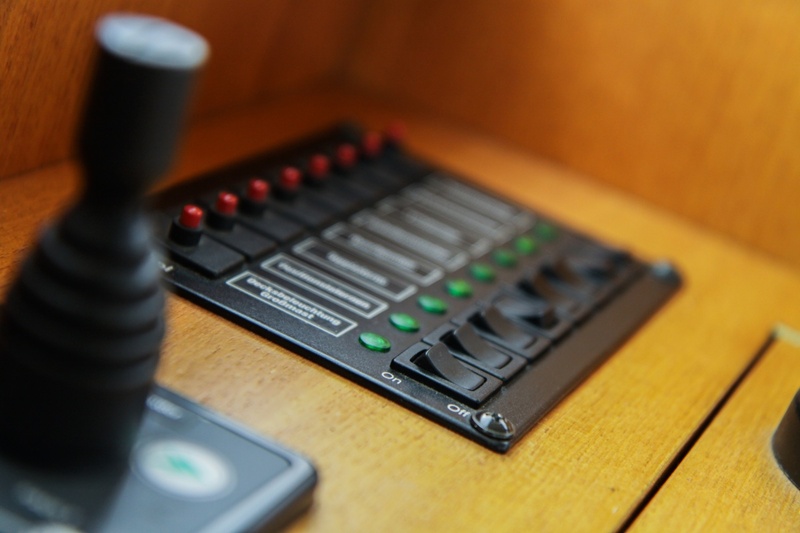 The Wolvenjacht 5 has a 220 volt inverter (1200 Watt), coffee maker, digital television and radio/CD system. 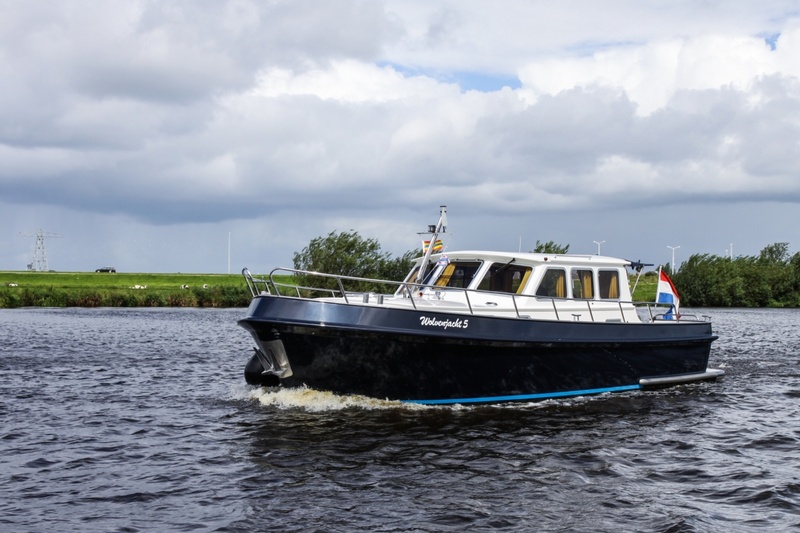 The Wolvenjacht 5 can be rented from Friday to Thursday, where you can board the ship from 6 pm on the Thursday and leave the harbour on Friday from 9 am. 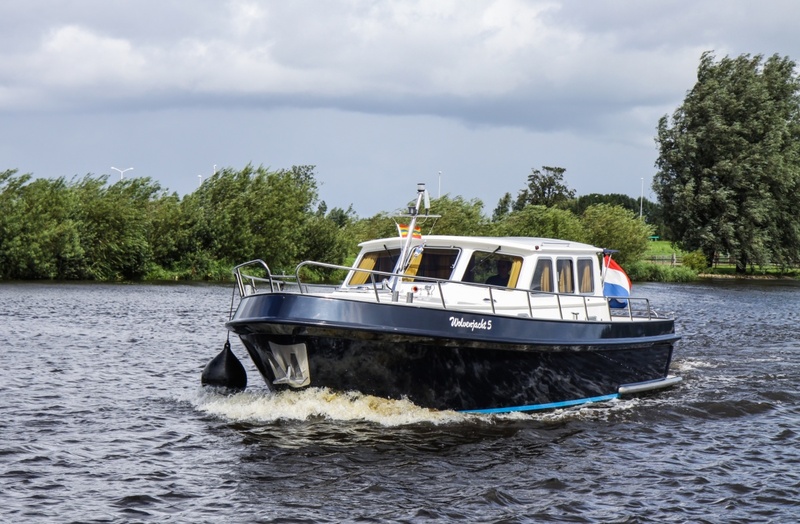 The next Thursday you have to return the boat before 1 pm.